Raynham-Taunton Greyhound Park is the only dog track in the state of Massachusetts. The track offers daily live greyhound races starting at 12:30 pm and evening races every Fridays and Saturdays starting at 8pm. 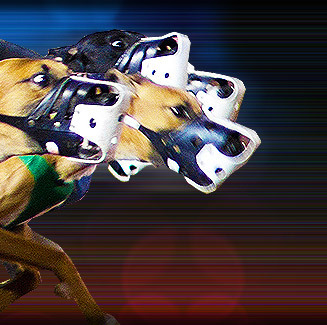 Raynham-Taunton Greyhound Park also offers daily simulcasts from top dog tracks in the United States. The track has seven restaurants for the convenience of race fans. Front and Back Stretch Length: 300 ft.
Raynham-Taunton Greyhound Park is located at 1958 Broadway, Raynham, Massachusetts, USA.